FIFTEEN years ago, former Japanese finance minister Koji Omi founded a non-profit organisation called the Science and Technology for Society (STS) forum in Kyoto. It was a visionary move, born out of a realisation from this illustrious politician and technocrat — a mentor to several Japanese prime ministers — that science and technology should be harnessed for humankind. However, that message needs to be conveyed to the public through dialogue among stakeholders. The three-day forum, held annually in autumn, draws an average of 1,000 participants, including Nobel laureates, politicians, government officials, academics and corporate figures. It is considered by some to be the science equivalent of theWorld Economic Forum. The advances in science and technology have brought prosperity and enriched the quality of life for humankind. However, the progress in science and technology raises ethical, safety and environmental issues: negative applications are threatening humankind’s future. And the speed of advances in science and technology is expected to accelerate. For sustainable human development in the 21st century, wisdom must be exercised to keep it under control. In that sense, the most pressing problems we face today include harmonising economic development with global warming, preventing terrorism, controlling infectious diseases and assessing potential health benefits and ethical factors relating to cloning technology. International efforts to address these problems are needed now more than ever. This is what symbolises the “lights and shadows of science and technology”, to use a term coined by Omi. Opportunities need to be taken, but the risks must also be reigned in. Health, meeting energy needs, and other aspects of human welfare are dependent on progress in science and technology. In some ways, we have begun to do that. For example, during deliberations on the Sustainable Development Goals that led to the 2030 Development Agenda, the Scientific Advisory Board (SAB) of the UN secretary-general put up proposals on the role of science, technology and innovation to realise the aspiration of sustainable development. SAB contends that science is a public good and deserves to be valued more highly and used effectively by decision-makers at all levels. But science requires more resources to become the game-changer it could be in dealing with global challenges. As an example, SAB says that scientists and engineers improved the efficiency of solar panels and wind turbines faster than had been expected, raising the hope that we can reduce our dependency on fossil fuels. Because the problems we face are becoming increasingly complex against the backdrop of globalisation and international competition, they are beyond the control of one country. These issues are also beyond the control of scientists, because many of the problems will find solutions through changes in social systems, international collaboration, global networks, and the building of common rules. The time has come for not only scholars and researchers, but also world policymakers, business leaders and media practitioners to meet and discuss science and technology issues in the 21st century. The forum provides a novel mechanism for open discussions on an informal basis, and to build a human network that would, in time, resolve problems arising from applications of science and technology. The forum will explore opportunities and how to remove barriers to the use of science and technology to solve problems facing humankind. Forum members are expected to participate, not as representatives of their country or organisation, but as individuals expressing their own views. This forum is not necessarily a platform for specialists to unilaterally convey their knowledge, but rather an opportunity for dialogue among peers. Participants should undertake cross-border activities for the establishment of shared values and commitment for the future. The forum has since reached out beyond Kyoto. It is most active in the Asean region. With a population of 600 million, 50 per cent of whom are under 30, the region is a barometer of things to come for the rest of the world. The Asean-Japan STS forum is an annual event first launched in Singapore in 2014, followed by Malaysia, Thailand, Indonesia and the Philippines. Topics range from capacity building and preparing the workforce of the future to smart cities for sustainable development and collaboration among the R&D community, industries and government for successful innovation. While we must be cautious and mindful of the “shadows” in science and technology, we must also be confident and hopeful of the many “lights” it sheds on to bring about a brighter and sustainable future for the world. A global outpouring of well-deserved tributes marked the passing of Kofi Annan, the former United Nations secretary-general and Nobel Peace Prize laureate, who died on Aug 18 following a short illness at age 80. Annan was sworn into office in 1997 by none other than distinguished Malaysian diplomat, Tan Sri Razali Ismail, when the latter was president of the UN General Assembly. Annan served in the top UN post for nine years. During his distinguished career and leadership of the UN he was an ardent champion of peace, human rights, and the rule of law. My tribute to Annan relates to his historic legacy as an advocate of sustainable development, a concept first articulated in 1987 as “development that meets the needs of the present without compromising the ability of future generations to meet their own needs”. 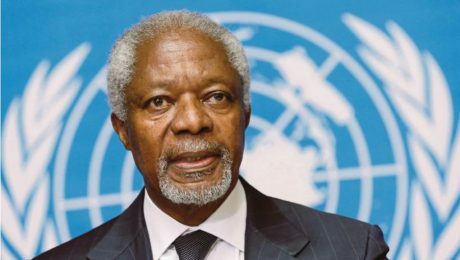 Annan’s leadership on the issue soared during the Millennium Summit in September 2000 when he issued a report entitled We the peoples: the role of the United Nations in the 21st century. The report called on member states to “put people at the centre of everything we do. No calling is more noble, and no responsibility greater, than that of enabling men, women and children, in cities and villages around the world, to make their lives better”. In the report’s final chapter, Annan called to “free our fellow men and women from the abject and dehumanising poverty in which more than one billion of them are currently confined”. The summit adopted the Millennium Declaration, which was subsequently manifested by the UN Secretariat as the Millennium Development Goals in 2001. The initiative contributed to significant gains in health, education and human welfare in many countries around the world. Such was its success, the world adopted a sequel — the even more ambitious Sustainable Development Goals —in 2015. BIODIVERSITY AND ECOSYSTEM MANAGEMENT: To reverse the processes that have destroyed about half the world’s tropical rainforest and mangroves and are threatening 70 per cent of the world’s coral reefs and decimating the world’s fisheries. Annan’s “WEHAB” agenda (an acronym of the five-point priority list, also given to mean “We inhabit the Earth”) was about having safe, clean water to drink, about utilising energy in a sustainable way in our businesses and industries, about enabling people to have heating, and lighting, and to cook in a way much less damaging to the environment, about good health wherever you live, and about meeting humanity’s land needs while preserving the biodiversity needed by our planet. It reinforced a global commitment to development to ensure a sustainable relationship between nature’s resources and human needs. And it resolved to build a humane, equitable and caring global society cognisant of the need for universal human dignity. Annan has kind words for Malaysia. 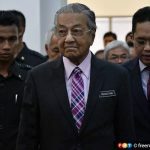 In a lecture in Kuala Lumpur in 2007, he said, “Malaysia has been a very fortunate country because of the way it has developed from its inception as a nation. “Malaysia has, uniquely in the annals of empire, a tranquil and orderly transfer of power. Nationalist passion was channelled through town council elections under colonial supervision rather than down the barrel of a gun. This gift of peace has been carefully nurtured and preserved.” His words ring true even today. 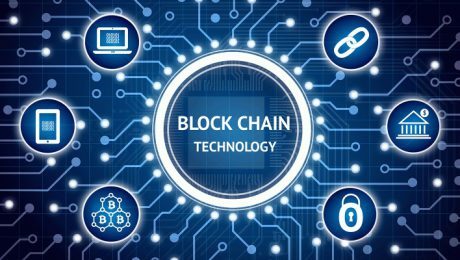 Blockchain technology incorporates distributed databases with consensus mechanism, peer-to-peer and cryptography technologies to allow for a more transparent and cost-saving platform to record transactions. The technology is being used globally by industry and government, and is largely in testing phase (Proof of concept) and Pilot projects. 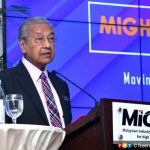 MIGHT has been looking at initiatives to introduce the blockchain technology to Malaysian industries. MIGHT initiated blockchain’s awareness session in December 2016, a joint discussion with Andreas Antonopoulus event in February 2017 and the Kuala Lumpur Blockchain Conference in April 2017. It has also held discussions with main industry players in energy and logistics sectors to introduce blockchain technology. 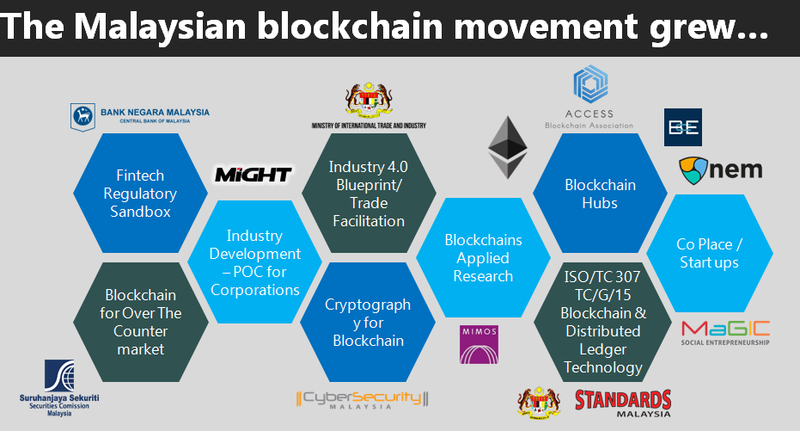 Some of the industry and ministries/agencies that are involved in developing blockchain in Malaysia are Bank Negara Malaysia, Securities Commission Malaysia, Ministry of International Trade and Industry, Cybersecurity Malaysia, MIMOS, ACCESS Malaysia, Standards Malaysia, and MAGIC. 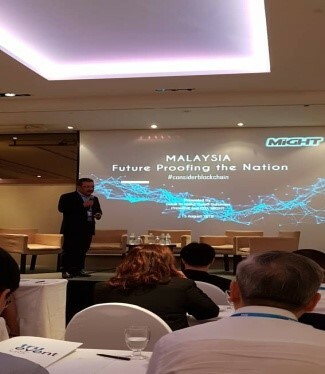 Improve awareness on the trend of global trends on blockchain technology industry that has an impact on Malaysia in general and industry players in particular and to identify the potential of Malaysia’s involvement through the establishment of industrial networks, incentives, governance and laws that have a positive impact on the country. Several discussions/workshops are being organized (including Blockchain Technology Workshop on August 10, 2018) by MIGHT in the effort to publish the above report which is expected to be completed by the end of 2018. 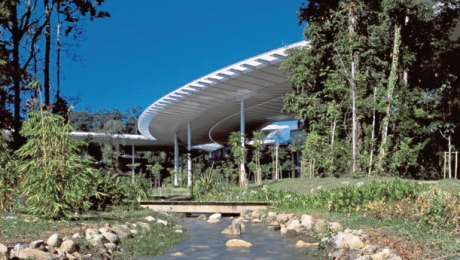 It is up to UTP, the number one private university in Malaysia, to ponder on these wise advice and incorporate them into its strategies and programmes which could propel it into global prominence. THE process of globalisation began a long time ago with ancient traders and European colonisers transporting goods — including plants — between the continents. For example, banana and sugarcane both originated in the Malay Archipelago but thrived wonderfully when they were planted in the West Indies. Likewise, Amazonian rubber trees and oil palm trees from West Africa both developed spectacularly well on arrival in Southeast Asia. One reason for these plants’ great success: fewer pests and diseases outside their centres of diversity. Many pests which had co-evolved in the natural ecosystems were serendipitously left behind. And hundreds of years can pass before these natural pests catch up with the crops, with sometimes disastrous results. The infamous potato blight, for example, still haunts memories to the present. Around 1585, the potato was introduced to Europe and England from South America. A few years later, Sir Walter Raleigh took the potato to Ireland, where it was first planted as a garden crop for people of high social status. By the late 17th century, it had become the staple diet for the population. 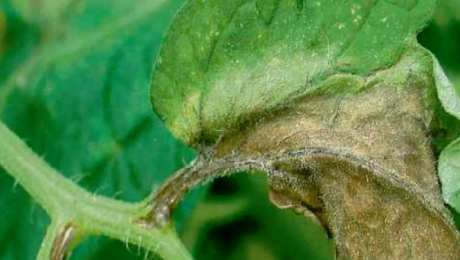 Beginning in 1845, a fungus, phytophthora infestans, started to infest potato crops in Ireland and northern Europe. The “potato blight” destroyed leaves, stems, and tubers. Ideal temperature and moisture conditions for the fungus to grow and spread (relative humidity over 90 per cent, temperature over 10°C) occurred over an extended period. By 1852, about three-quarters of the crops were ruined, leading to the human catastrophe called the Irish Potato Famine, during which about one million people died. Another million Irish fled the country, mostly to North America. How the fungus arrived in Europe remains uncertain, but scientists think it originated in Mexico, spreading first within North America then to Europe via diseased potatoes carried by cargo ships around 1844. Another well-known example is the accidental introduction of the grape phylloxera — a North American aphid — into Europe around 1865, which subsequently destroyed much of Europe’s grape-growing regions. Grape phylloxera’s root-feeding stages were the most damaging, which led to the replacement of all grapes with planting materials grafted on resistant rootstocks. The epidemics also resulted in the concept of international plant protection. The first international plant health treaty — the International Phylloxera Convention — was signed by five countries in Bern in 1881 to control the spread of grape phylloxera. The next major step was the International Convention for the Protection of Plants, signed in Rome in 1929, followed in 1951 by the adoption of the International Plant Protection Convention (IPPC) by the Food and Agriculture Organisation of the United Nations. IPPC, which came into force in April 1952, superseded all previous international plant protection agreements. Rubber is an important cash crop in many Asia-Pacific countries, mainly Thailand, Indonesia, Vietnam and Malaysia, which produce over 90 per cent of the world’s supply. Most smallholders depend on rubber for their livelihoods. Rubber was introduced in the region without its South American leaf blight (SALB), which made possible its large scale cultivation. SALB is another fungal disease, which causes severe dieback of trees. There is no cure, except possibly by using resistant clones, which are still at experimental stage. The disease, therefore, still poses a major threat to the region. Thankfully, effective quarantine measures regulate transcontinental movements and the disease has been kept at bay, restricted to South and Central America. It is, therefore, a matter of concern then when Indonesia recently reported an outbreak of another serious rubber tree problem — fusicoccum canopy disease — which caused early leaf fall and reduced latex yield up to 40 per cent. The disease, first detected in North Sumatra in 2016, spread to southern Sumatra by the end of last year, impacting particularly the Palembang area, where over 25 per cent of Indonesian rubber is planted. With over 22,000ha of Indonesian rubber areas infected, the rapid spread of the disease has been alarming, reaching from Java and Kalimantan to Sulawesi. Most of current recommended clones are found to be susceptible. The disease is blind to geopolitical boundaries, of course, and may rapidly land on our shores in no time. In Malaysia, we have already narrowly escaped one recent encounter with fusicoccuminfection, which was first reported in 1987 in Johor, spread to Perak and Selangor in 2003, but fortunately did not become an epidemic. To safeguard the rubber industry and smallholders’ livelihoods in Malaysia as well as the region, countries need to work together, and work fast, to put in place appropriate control measures to effectively stop the spread of fusicoccum. It is a grave reminder that removing or compromising constraints to movement of pathogens across geographical and political barriers — as increasing land, sea and air routes are opened up for trade between countries — may lead to unstoppable breaches in biosecurity. SEEDS are fundamental to any agricultural activity. The last 40 years has seen a dramatic transformation of the commercial seed industry from a competitive agri-business — mainly family-owned — to an industry dominated by just a small number of transnational companies. More than two-thirds (67 per cent) of the worldwide seed market, valued at RM84.26 billion, has been dominated by 10 companies, the largest of which is Monsanto, with almost one-quarter (23 per cent) of the market, followed by DuPont (15 per cent), both US-based. In third place is Syngenta of Switzerland (9 per cent). Together, these firms alone have cornered almost half (47 per cent) of the world market. Malaysia’s standing in plantation agriculture is second to none, as witnessed by our dominance in oil palm cultivation, and until recently, rubber. The two commodity crops are not only helmed by a strong industrial base, but underpinned by a solid research and development (R&D) infrastructure, namely in the form of the Malaysian Palm Oil Board (formerly Palm Oil Research Institute of Malaysia) and the Malaysian Rubber Board (formerly Rubber Research Institute of Malaysia), respectively. Key to their success is their ability, through persistent R&D, to produce superior, high-yielding seedlings or clones. Since 1986, over 10 major seed producers in the country — including Felda Agricultural Services, Sime Darby Seeds & Agricultural Services and Applied Agricultural Resources — contributed to replanting to raise the national palm oil production. Alas, the same cannot be said of the seed industry in our vegetable farming sector. It is therefore spot-on for the newly-minted Agriculture and Agro-based Industry Minister Datuk Salahuddin Ayub, in one of his first acts, to announce that his ministry is developing technology to reduce our dependence on imported seeds. If possible, he says, we want to reduce imported vegetable seeds by up to 90 per cent, offset by enhanced capability of our local agriculture industry. Empowering the local seed industry would enable farmers to obtain seeds of similar quality to imported seeds at lower prices, thereby reducing further upward pressure on food prices. According to the minister, the growth of the vegetable farming sector is hampered by the country’s current ability to produce only 10 per cent of our seeds, and, Malaysia remains a net importer of fresh vegetables and seeds due to weak internal production. In 2016, Malaysia’s food import bill was RM45.4 billion, against food export of RM27.0 billion, therefore, the RM18.0 billion deficit is a huge responsibility. The government needs to consider any possible efforts that can reduce it, and therefore, contribution of the vegetable farming sector should not be discounted. Difficulties in vegetable production are also related to Malaysia’s climate in some places, by limited local varieties and high production costs. Some argue that development of a seed system capable of making the country more self-reliant, and protecting the rights of smallholders, can only be achieved by adopting measures linking the interests of the seed industry and smallholders. This would include intellectual property legislation, the preservation of seed sharing traditions, and investments to support the creation of a large- scale seed system. Developing the same model of cooperation between government, industry and academia — which was so instrumental in our success in oil palm and rubber — would also help as we create and promote successful new local, varieties of vegetables. Appreciation of the critical need to have a stable seed facility for the country has been around for decades. In 1979, for example, the World Bank provided Malaysia with a loan to start the National Seed Project to expand domestic food production and to reduce the food import bill. And the seed industry has always been important in the national agenda. It has been included in every national agricultural policy since 1984, including the latest one due in 2020. 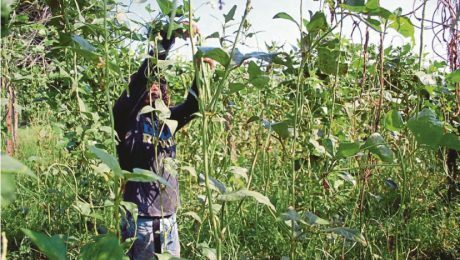 In 2011 the National Seed Council (NSC) was established to oversee development of the local seed industry and reduce Malaysia’s dependence on imports. The NSC was to spur economic activity to the tune of RM466.6 million, and generate 5,390 jobs by 2020. Among the technologies planned was the Marker-Assisted Selection (MAS), utilising molecular markers to identify superior plant traits well ahead of time, thus reducing the breeding cycle of six to eight years in conventional breeding. The importance of a thriving seed industry was not lost on the government officials almost 40 years ago. The question is what went wrong, to the point that today we produce only 10 per cent of our needs, in spite of the policies and the concomitant infrastructure being put in place. There may be many reasons for this state of affairs, as suggested above. But one thing to be seriously investigated is the need to install a better mechanism for monitoring and evaluation, and to institute greater accountability for officials responsible for implementing the policies and action plans. The writer is the founding president of the Genetics Society of Malaysia and Chairman of the Bioeconomy Corporation. Is Malaysia ready for gene therapy? ACCORDING to the seminal report, “Human Genome Editing ”, jointly released by the US National Academy of Science (NAS) and the National Academy of Medicine (NAM) in early 2017, genome editing is a powerful new tool for making precise alterations to an organism’s genetic material. Recent scientific advances have made it more efficient, precise, and flexible than ever before. These advances have spurred an explosion of interest from around the globe on the possible ways in which genome editing can improve human health. The speed at which these technologies are being developed and applied has led many policymakers and stakeholders to express concern about whether appropriate systems are in place to govern these technologies and how and when the public should be engaged in these decisions. Last week, the Malaysian Industry Government Group for High Technology (MIGHT) played host to a public lecture by Dr Ismail Serageldin, a world renowed scientist, who shared his reflections on the impact of the new genetics on public health. “Are we ready for gene therapy?” he asked. Gene therapy is essentially the use of deoxyribonucleic acid (DNA) to cure disease, where DNA is the chemical substance of heredity that makes up the genes in humans and almost all other organisms. Gene therapy involves a treatment through which copies of a normal gene (also called a therapeutic gene) are inserted into a person’s somatic cells to fight the disease caused by faulty gene present since birth. The normal copies will be expressed, thus overriding the faulty ones to fight the disease. First encouraging results came in about two decades ago, when children with “bubble boy disease”, caused by a lack of functional immune system were cured using gene therapy. Without treatment, they would be forced to live in sterile environments forever to avoid infections. Up to 2016, over 2,200 gene therapy clinical trials were reported. They have demonstrated that the treatment could be used for common genetic defects such as congenital blindness, cystic fibrosis, anaemia, sickle-cell disease, B-thalassemia and Duchenne Muscular Dystrophy. Although gene therapy holds promise for the future, it is still considered as experimental. Many technical problems need to be resolved for it to become a standard medical practice. For many years, researchers tried to develop efficient and reliable ways to make targeted and precise changes to the genome of living cells. Their efforts have paid off with the discovery of CRISPR technology—Clustered Regularly Interspaced Short Palindromic Repeats found in bacteria, which they use to defend themselves against viruses. When infected by viruses, the bacteria will employ the CRISPR system to specifically identify and destroy the invading DNA. Although research on CRISPR was undertaken since 1993, it only became clear in 2007 how the bacteria used it to essentially vaccinate themselves against viral infections. The system comprises two components, namely a guide RNA and a CRISPR-associated endonuclease protein, Cas9. Guide RNA functions as a “GPS” that guides it to the specific target site on DNA sequence while Cas9 functions as molecular scissors to cut the DNA. CRISPR heralds a new era for molecular biologists, and is igniting a revolution in genome editing. CRISPR/Cas9system has now become synonymous with gene editing, and is rapidly becoming a standard laboratory tool for researchers to delete, insert, or modify DNA sequence at a specific site in practically any genome. In April 2015, Chinese scientists reported the use of CRISPR/Cas9 to correct B-globin gene mutation in human embryos, the mutation which causes the disease B-thalassemia. Although these embryos were never placed in a womb, the report opened a floodgate of controversies. Genome editing has reared its ugly head, and could soon lead humans to change their own evolutionary destiny. These developments triggered the 2017 NAS/NAM report in which Serageldin was one of the eminent committee members. It outlines several criteria that should be met before allowing germline editing clinical trials to go forward. 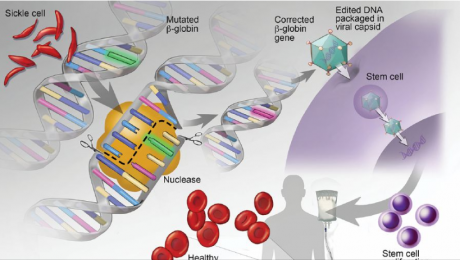 Genome editing has already entered clinical trials for non-heritable applications, but should be allowed only for treating or preventing diseases or disabilities at this time. There are many important questions about the human application of genome editing to be considered including: balancing potential benefits with unintended risks, governing the use of genome editing, incorporating societal values into clinical applications and policy decisions, and respecting the inevitable differences across nations and cultures that will shape how and whether to use these new technologies. 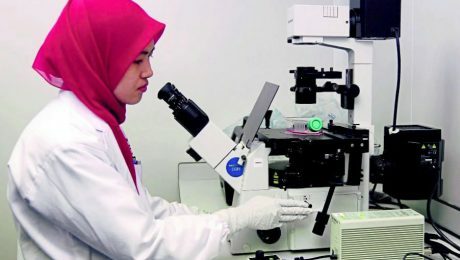 Professor Zilfalil Alwi of Universiti Sains Malaysia said Malaysia is making progress in the field of human genetics and some researchers are already experimenting in CRISPR technology, but more must be done to catch up with other developed countries. It is incumbent upon us in the scientific community to follow closely the developments in this cutting-edge medical technology and to impress upon our political leaders to continue investing in research and development. Sustainable development goals: Are we on track? HOW well is the world doing with Agenda 2030 and its 17 Sustainable Development Goals? Not nearly well enough, it appears. Three years after United Nations member states agreed on the ambitious 15-year programme at a New York summit, a third stocktaking of government efforts has been released: the 2018 SDG Index and Dashboards Report. Sadly, it shows no country is on track to achieve all goals by 2030. These include ending poverty and hunger, promoting good education, health and well-being, achieving clean water and sanitation as well as affordable and clean energy, and reaching gender equality. Leaders on the Index — a composite measure of progress across all goals — are Sweden, Denmark, and Finland, and the report notes that even they needed to up their game to reach the targets by 2030. Germany and France are the only G7 countries among the top 10. The United States ranks 35th; China and the Russian Federation rank 54th and 63rd respectively. Indeed, the report cites the US and Russia as having taken the least action towards implementing the goals. Detailed two-page profiles of SDG progress on every indicator that makes up the index are provided for all UN member states, along with trend data indication of how fast countries are progressing. Produced by the Bertelsmann Stiftung and the Sustainable Development Solutions Network (SDSN), the report estimates whether a country is likely to achieve a particular SDG based on historic rates of progress. Overall, progress is slowest on some of the environmental goals. 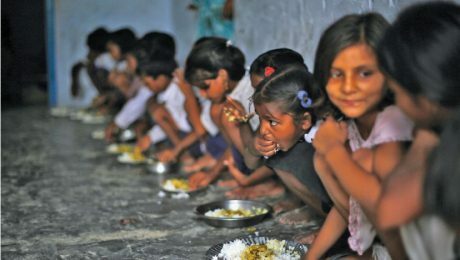 Whereas many high-income countries have almost completely eradicated extreme poverty or hunger, they obtain their lowest scores on such goals as “responsible consumption and production”, “climate action”, or “life below water”. And, low-income countries score significantly lower still as they tend to lack adequate infrastructure and mechanisms to manage key environmental issues. Low-income nations are, however, making significant progress on ending extreme poverty and access to health and education services. How did Malaysia fare? With a 2018 SDG Index score of 70, Malaysia ranks 55th out of 156 countries, and 2nd within Asean, one rank lower than China but eight ranks higher than Russia. You can see how we scored on all 17 SDGs in the full report, available at this link: http://bit.ly/2uI6itG, starting on page 288. As you’ll see, Malaysia continues to make progress against SDG 1 — reducing poverty — which stands today at 0.6 per cent, down from 49 per cent in the 1970s. This remarkable shift started with the New Economic Policy, introduced in 1970 to eradicate poverty and restructure societal imbalance. 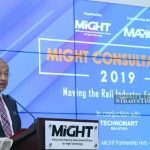 Each subsequent five-year Malaysia development plan has underscored sustainable economic growth, growth with equitable distribution to all sections of society, access to basic infrastructure and utilities, access to education and healthcare services, and mainstreamed environmental conservation. Agenda 2030 increases the resolve to pursue the journey on sustainable development more aggressively. Thus, Malaysia has aligned SDG principles with the 11th Malaysia Plan, which will entrench SDGs in all facets of Malaysia’s development. Our achievement already of this high priority goal does great credit to Malaysia. Likewise, Malaysia is reported as having made inroads in utilising clean energy (SDG 7). This has come about thanks to a legislative framework, policies and implementation strategies designed to reduce dependency on fossil fuels. Despite an upward trend in clean energy, however, a downward trend is reported for Malaysia on climate action (SDG 13). As the Fourth Industrial Revolution dawns, we have armed ourselves with digital tools and innovative knowledge and technology to ensure economic viability and social security, highly evident in our reported progress against SDG 8 (decent work and economic growth) and 9 (industry, innovation and infrastructure). The report suggests we have stagnated in critical areas, notably sustainable cities and communities (SDG11). By 2030, the Malaysian population will be 80 per cent urban. We need to both green our cities and make them more efficient, providing high-level services to people with the help of smart communication devices and other high-tech tools. This will drive economic growth through new high technology development investments, jobs and innovation. Other areas in Malaysia in which stagnation is reported: zero hunger (SDG 2), life on land (SDG 15), and partnerships for the goals (SDG 17). Dozens of parameters go into the index calculations, and it is helpful to have an outside assessment of our performance on each one at this still-early stage of Agenda 2030. We can only hope that our success improves in Malaysia as we emerge to be a more prosperous high-income country — a milestone foreseen in the not too distant future. Is there still a sustainable future? IN former British colonies such as India, Kenya, Malaysia and Sri Lanka, it is quite common to find so-called “hill stations” in the mountains established by the colonialists looking for a cool escape from the steamy temperatures and humidity of the tropical lowlands. In 1885, a young geologist and explorer named William Cameron came across a plateau during a mapping expedition in the dense jungle of Banjaran Titiwangsa in Pahang. His name would go on to be associated with the area — the Cameron Highlands — where a hill station established by the British offered weekend respite to the colonial civil servants, planters and miners. Many of the quaint English-style bungalows and cottages remain in the district to this day. In that same era, Sir Hugh Low, the British Resident of Perak, envisioned in Cameron Highlands the development of a “sanatorium, health resort and open farmland”. But, it remained untouched until the early 1920s, with the setting up of an Agricultural Experiment Station, and land opened up for the cultivation of tea, fruits and vegetables. Since then, unfortunately, some development in this area has gone on with too little care and forethought. Cameron Highlands is a unique ecosystem, home to about 700 species of plants, many of them rare. With about 75 per cent of the district 1,000 metres above sea level, the mean annual temperature is 18°C with pleasant day temperatures in the low 20s. The vegetation changes as one ascends the mountain and its woodlands form the prevailing natural ecosystem within and around the prefecture. Besides its flora, the region is also the habitat for a wide variety of animals, birds, reptiles and insects. Of these, the Sumatran serow, mountain peacock-pheasant and Malayan whistling-thrush are listed in the IUCN Red List of Threatened Species. The Camerons district is drained by three river systems with 123 tributaries. 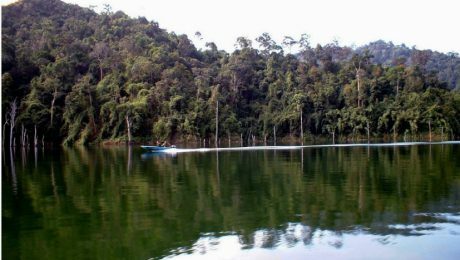 Their high points serve as the water catchment for the Pahang and Perak rivers. The environmental wellbeing of the district is critical to inhabitants of the surrounding areas. Overall, much of the Camerons is still forested (estimated at 71 per cent). Jungle trails lead visitors to tranquil spots, waterfalls and aboriginal villages. And developments of the past have brought economic benefits. But to visitors today, it is obvious that these have been achieved at major environmental expense. The Camerons offer yet another classic case study of how we grapple badly sometimes with sustainable development. Its rich biodiversity could be a magnet for ecotourism, its cool and pleasant temperate weather could be a big draw for the rest-and-recreation crowd, and its soils could nurture sustainable highland agriculture, providing a unique showcase. Starting at least 10 years ago, environmental degradation of Cameron Highlands became the focus of often emotional discussions in public and government circles, sometimes involving not only the NGOs, but top political leaders and royalty too. The problem has been intensive farming with little or no enforcement and control — a problem common to many tropical highlands suitable for crops. 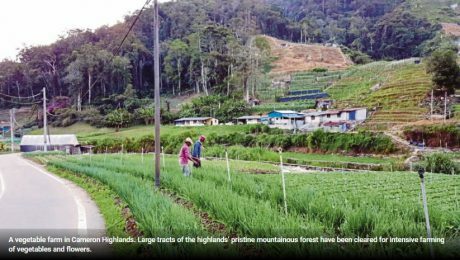 Large tracts of the Cameron Highlands’ pristine mountainous forest have been cleared for intensive farming of vegetables and flowers, exposing many people to an increased risk of disaster. Due to uncontrolled illegal deforestation for farming, the use of foreign labour became a necessity. Thus, Cameron Highlands became shrouded in two main issues, namely illegal land clearing and illegal foreign workers. Among the catastrophes of recent memory are the flash floods and landslides affecting Kampung Raja, Ringlet and Bertam Valley in November 2014, which claimed five lives. The then deputy prime minister, Tan Sri Muhyiddin Yassin declared that this was the direct result of environmental degradation caused by illegal land clearing. He added that plantations that did not comply with standards of highland agriculture were also one of the causes. “These activities have resulted in excess water trapped by plastic sheets used to cover the crops,” he said. “The overflowing water runs into the river, flooding the affected areas. We need to identify the unstable areas facing the risk of collapse and work on an action and mitigation plan,” he had said. In the Camerons, a post-Armageddon like landscape is there for all to see. And with the year-end monsoon season coming soon, one wonders about the status of the promised action plan to mitigate future disasters. Sustainable development rests on three pillars: social inclusion, economic advancement and environmental preservation. In Cameron Highlands, the presence of branches of virtually every Malaysian bank and a couple of foreign ones testify to economic progress. But there is a big question mark whether the authorities have done enough with respect to the third pillar, environmental preservation — the very foundation of our national prosperity and well-being.